Life at The Almost Home Group is about caring for each other and forming life-long friendships. We specialize in caring for Alzheimer’s and dementia patients, and the comfortable, home-like environment of our facilities will make your loved one feel at ease. 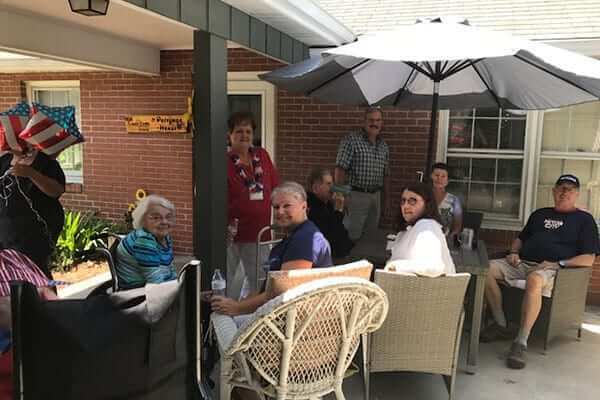 We love celebrating birthdays, going on fun outings, and welcoming our residents’ friends and families to visit with us. If you are looking for local nursing homes, we encourage you to think outside the box and learn more about what we have to offer at The Almost Home Group. To find out more about our three homes located in the Piedmont Triad area, please contact us today.